Welcome to the website for Cleveland Central Catholic High School – Home of the Ironmen! At Central Catholic, we are known as a strong community of faith. Since 1969, Cleveland Central Catholic (CCC) has been bringing young people together to learn, live and serve as one family in Christ. Our community remains vibrant in the many ways our students are prepared to succeed in their own endeavors while also learning to serve others. Learn about our Mission, Vision and Core Values. Centrally located in the middle of Cuyahoga County, Cleveland Central Catholic is easily accessible to Broadway and Fleet Avenues from I-480 and I-77, respectively. CCC is also just a 10-minute bus ride from Cleveland’s Public Square, right down Broadway Avenue (at 6550 Baxter Avenue, just east of East 65th Street). Cleveland Central Catholic is a co-educational, comprehensive school for students in grades 9 through 12. With an enrollment of about 545 students, CCC is large enough to provide ample opportunities for student activities while also being small enough for each student to be known by name. Our school offers a wide variety of activities (athletics, theater, music, community service, yearbook and newspaper, clubs, etc.) that provide our students with safe and fun ways to develop skills and make friends for life. At Central Catholic, diversity is a real strength of our community. We are one family in Christ, regardless of gender, race, or religion. We work together to foster a culture that respects human dignity, develops personal responsibility, and provides opportunities for our students to learn, serve and lead. Our outstanding faculty is committed to teaching and learning on a personal level – so that each child is given the opportunity do his or her best. Our comprehensive academic program is truly for all students, whether they desire the challenge of an honors program, have special learning needs, or are somewhere in between. Most importantly, our graduates are grounded in their faith – and prepared to succeed in life. 100% of the Class of 2018 graduated and more than 86% of the students were accepted into either a 2 or 4-year college or university. Religion classes for all students challenge them to put their faith into action and live the Gospel message. Prayer services and retreats led by peers and faculty reinforce the importance of Christian faith in their lives. Students also celebrate the Liturgy and some share the Eucharist in the Shrine Church of St. Stanislaus, located right on our campus. Cleveland Central Catholic recently completed a $5.7 million capital campaign, A Beacon of Hope. 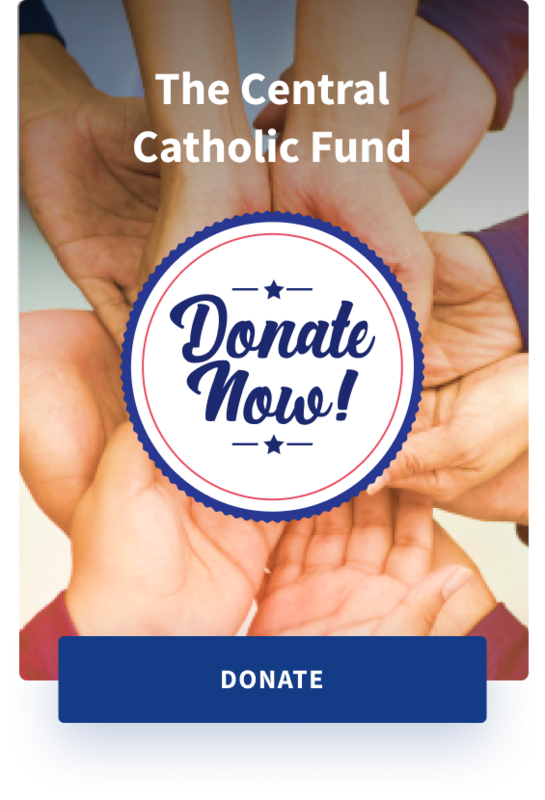 This campaign addressed long-standing facilities challenges, increased the school’s endowment, bolstered the special needs program, grew the Central Catholic Fund and completed the facilities at Stefanski Stadium. We are most grateful to all those who helped us to achieve our campaign goals. They have helped open up the CCC campus, attract a wide variety of students from all academic and economic ranges – and build a strong school community from across our diverse city. Cleveland Central Catholic will continue working to build healthy relationships so that we secure the future for our students, our neighborhood, our city, and our diocese. You too, can become part of this very special school that is a Beacon of Hope — where students are learning to lead and preparing to serve.